Kajakkspesialisten (the kayak specialist), is a company founded in 1996 by Anders Thygesen, who still runs it. Kajakkspesialisten deals with most things related to sea kayaks, and is most well known for its work in building traditional skin-on-frame sea kayaks. Here at Kajakkspesialisten you can build the kayak of your dreams. We build kayaks by hand, from the best natural materials, tailor-made to suit you and your needs. 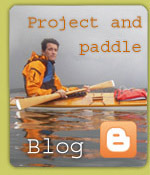 You can order a ready-made kayak, or sign up for a course to learn and build a kayak yourself. Since 1997, Kajakkspesialisten has offered courses on paddling sea kayaks and safety courses, both for beginners and veteran paddlers. Our courses are some of the best in the country. You can buy everything you need in the way of paddling equipment here, and if you only want to try a real sea kayak you can rent or borrow one here.